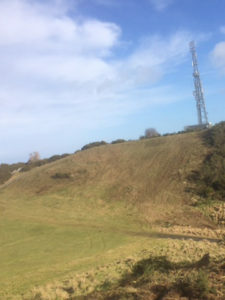 After seeing a video of our Deltrak at work on our YouTube Channel, Mortonhall Golf Club contacted Inex for a solution to the gorse problem on their site. 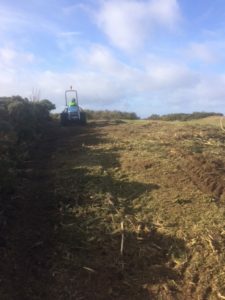 Mortonhall Golf Club advised they have previously cleared Gorse by hand but did not want to go down this route again due to the laborious time taken to carry the works out. Inex knew straight away that out our Deltrak would be the ideal piece of kit for the solution to Mortonhall’s problem. 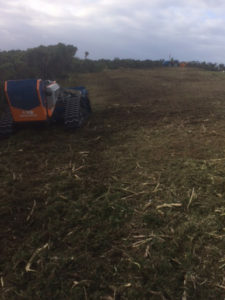 We, subsequently, provided a quotation to remove the gorse using out Deltrak and Scrub Claw. Mortonhall Golf Club were pleased to instruct Inex on the quotation and what would have been a lengthy and expensive job to be carried out by hand, was completed in a day by our equipment. Green Keeper, Grant Moran, was delighted with the completed works and reiterated how very pleased the members and the Head Golf Pro, especially, has been with the works undertaken. Inex looks forward to working along with Mortonhall Golf Club in future Gorse clearance projects to maintain the beautiful scenery they have on the course!